On Feb. 11, 1974, the first launch of the Titan IIIE/Centaur (TC 1) was carried out from Launch Complex 41 at Cape Canaveral Air Force Station in Florida. The Titan IIIE/Centaur was designed to meet NASA’s payload requirements for future unmanned probes and this mission was a “Proof of Concept” flight. The launch was conducted by the Unmanned Launch Operations Directorate of the United States Air Force. Due to NASA’s ambitious plans for their unmanned explorations, this required a much more powerful vehicle. The normal two stage Titan IIID rocket was modified to the Titan IIIE featuring the addition of a Centaur D-1T third stage, resulting in the largest and most powerful launch vehicle designed for unmanned exploration payloads up to that time. The payload capacity now tripled that of the Atlas/Centaur. 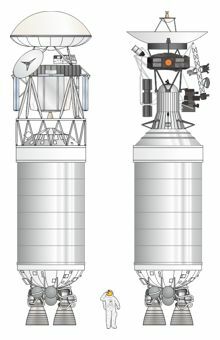 The Centaur rocket had been highly successful since 1963 as the upper stage on the Atlas rocket, but this was the first time it was to be used on a Titan. Since the Centaur has been exclusively used on Atlas vehicles, there were obstacles that had to be overcome. Adding a shroud to the Centaur ensured that the diameter exceeded the diameter of the Titan IIIE resulting in aerodynamic concerns. There were also concerns that the heat of the Titan IIIE rocket during launch may cause the liquid hydrogen and oxygen to get warm enough to return to its gaseous state and cause an explosion. Additional insulation was therefore added to the shroud. Originally NASA wanted to fly a boilerplate Viking probe on the inaugural flight, but decided at the last minute to add a science payload called Space Plasma High Voltage Interaction Experiment (SPHINX). The experiment was to test the operation of high voltage power supplies in a vacuum. This was placed atop the Centaur stage. 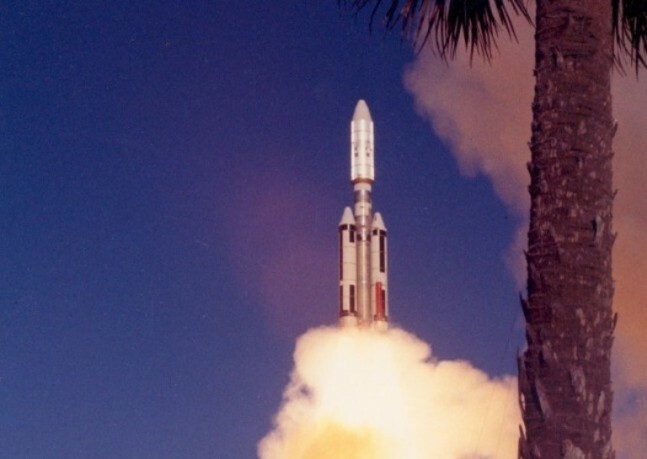 At 09:48 a.m. EST (1448 GMT) the Titan IIIE/Centaur (TC 1) launched from LC 41. The first two stages of the Titan boosters performed flawlessly, but the Centaur stage failed to ignite. After unsuccessfully manually trying to get the Centaur to ignite, the rocket was destroyed by the Range Safety Officer at the Antigua Station 12 minutes into flight. It was later determined that an improperly installed rivet inside the LOX tank had come loose and lodged in a fuel pump resulting in the malfunction. Though the vehicle was lost, two main objectives were still accomplished. The Centaur payload shroud proved to be aerodynamic and stable during flight, and the Centaur had separated from the Titan boosters successfully. All remaining six launches of the Titan IIIE/Centaur were successful and the program lasted until 1977. Future payloads of the Titan IIIE/Centaur included two Helios solar probes, both Viking mars probes, and both Voyager probes.